Crime and Punishment is the most profound fictional book I have read on evil and suffering. I remember when I was young and foolish—the “crimes” I committed, followed by outlandish lies I told to cover my tracks. I believed I wouldn’t get caught because I was smarter than everyone else. They are memories I would like to bury somewhere in a cave and forget. I was caught in every instance and soon learned I was not extraordinary. Never mind the “punishments” I received. What I learned early on is I have a conscience. A relentless whisper spoke to me even when I didn’t want to listen. My guilt pricked my soul like a thorn, bothering me more than I could have imagined. I did not know I would feel so miserable before I committed each of my various “crimes.” I was forced to carry a heavy burden that painfully weighed me down until I either confessed my sin or my guilt was discovered. The suffering was relentless and did more to drive me to a loving God than the severe discipline I received from those who showed no grace. Crime and Punishment addresses this psychological suffering in a most profound way. The protagonist, Raskolnikov, believes he has unveiled a hidden truth: That there are two classes of beings—those who are ordinary and those who are superior. The superior individuals are those who commit crimes that are deemed later to be justified because the end (a better society) justifies the means (killing an innocent person). He cited examples of great conquerors such as Alexander the Great. Raskolnikov subconsciously acts on his newly discovered “truth” by murdering a “leech” on society. But then he is forced to kill an innocent observer to cover up his actions. Thus began the story, and the rest of the book lays out the immense suffering brought on by Raskolnikov’s refusal to come to terms with his wicked crime. Even when Raskolnikov publically confesses his crime at the end of the book, because of pride, he is unwilling to admit personal guilt. His suffering continues, making him ill and adversely cutting him off from society, friends, and family. 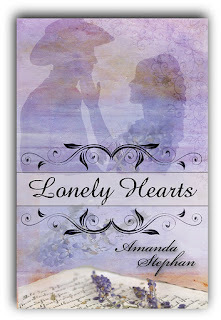 Only his dear, long-time friend Sonya, gives him grace, traveling with him to Siberia. Sonya, a former prostitute driven to such circumstances by ill-deserved depravity, lived her life sacrificially for others. Despite her intense suffering as the result of family sins, she exuded love, drawing strength from reciting Scripture, which became her saving grace. Sonya never gave up on Raskolnikov. In the end, it was her unconditional love that brought Raskolnikov to repentance, and through repentance, salvation. It is difficult for me to add more to this commentary without destroying the beauty of Dostoevsky’s writing. 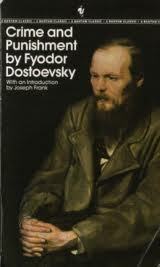 What speaks to me the most about this book, besides the profound truths portrayed, is the way Dostoevsky writes. Every scene is fully developed; each person’s thoughts and motivations are explored; detailed attention is given to societal norms—the good, the bad, and the ugly; and the overarching themes of suffering and hopelessness hang broodingly over the pages. The surprise ending supports the truth of Scripture—that all evil can be conquered by grace. Sonya’s faithfulness and love for Raskolnikov overcomes the darkness, leaving the reader with hope that God can redeem the vilest of creatures. Out of love for her family and love for God, she finds writing to be an opportunity to share God's love for others in a fun and entertaining way. 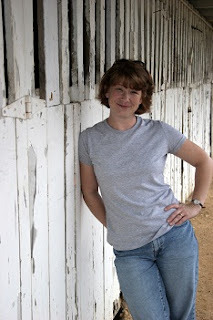 Her first novel, The Price of Trust, was published in May of 2010, her second novel, Lonely Hearts, is due for release at the end of October, 2011, and her Slade series was just picked up by TreasureLine Publishing. If you were to ask her to share one thing about herself that most people don't know, she'd have so many to choose from that she'd probably hesitate for a moment. Not quite a recluse, she's rather camera shy, doesn't like to be in the spotlight, and absolutely LOVES to have her feet tickled. But she would say her most interesting accomplishment is that she laughs like Scooby Doo. About the Book: - Read an excerpt below. "A few things I've learned along the way"
1) If you don't have patience, you'll get it during the publishing process. I'm not a very patient person. I want what I want now! I've learned to apply the old Army slogan, "Hurry up and wait." Everything moves at a snail's pace and you might as well accept it. 2) You never know what you can do until you give it a try. I'm 43 years old and wondered if I could get inside the head of a young adult well enough to write a young adult novel. Judging from the emails I've received from young adults, somehow I pulled it off. I've had several ask me to tell the story of a secondary character. Shattered Identity, the sequel to Mistaken Identity, will tell Lexi's story and will be out in April. 3) My cover artist normally knows what's best. Never have they given me exactly what I've asked for on a cover, but that's fine because I'm not a cover expert. Only once have I had a cover that I truly hated and my cover artist was nice enough to work with me to come up with something I liked. 4) Not everyone will love what you write. The lowest ranking I've ever received was three stars and I can live with that. It's important to develop a thick skin early on because not everyone will love what you write. Even NYT bestsellers get bad reviews. 5) Never underestimate the power of networking. I've attended two conferences in the last two years and loved both of them for various reasons. It's so important to invest in conferences where agents and editors you're interested in will be on faculty. 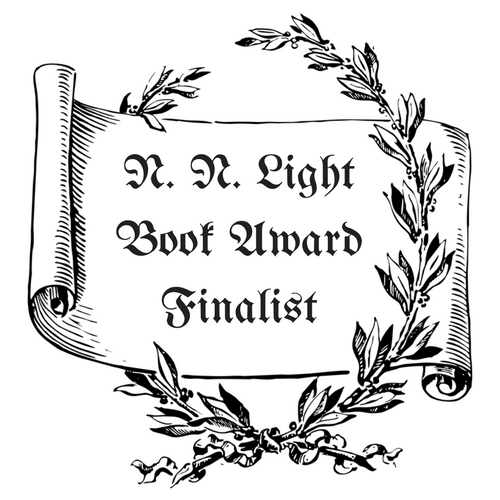 6) NaNoWriMo (National Novel Writing Month) was one of the best challenges I ever took. It changed the way I write forever. 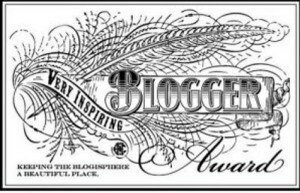 It's a yearly Internet event where authors come together and take the challenge to write 50,000 words in 30 days. Give it a try. It's always during the month of November. 7) My editor knows best. I'm lucky enough to have an editor who I truly respect and trust. Sometimes, I question what she says, but when I think it over for a little bit, I know she's absolutely right. 8) Writing is a lonely hobby. You'd better enjoy being alone because you'll shut yourself away for hours during the writing and editing process. 9) I need my writing friends. There are times we all feel down and wonder why we write. It's great to have encouraging friends who will lift you up. In my case, I can't NOT write. I've tried. I once went for a month without writing and was one of the most miserable people on the face of the earth. 10) Don't write for money or fame because they may never come. Write because you love it. I write for the simple joy of placing words on the page. Filled with encouragement, Lucado’s book gives Christians a boost to discover our uniqueness to showcase the glory of God. Not ourselves, not even to contribute to society, but to praise and glorify our Creator. What an intriguing and refreshing way to think of ourselves in God’s eyes. The spirit has given each of us special gifts to make a big deal of God. How do we find them? This book is divided into two parts: the first is an exploration of our uniqueness; the second, a workbook showing us how to find it. Filled with stories of people from Biblical through modern times who listened to God and themselves to discover their innermost gifts, Cure For the Common Life will cheer the reader who is also searching for purpose. The second part of the book, the workbook, guides us through the S.T.O.R.Y. process: finding our sweetspot (reflecting on enjoyable things done well); the recurring themes in our lives; optimal conditions (what kick-starts and keeps our interest); the relationships in our lives; and the Yes! component-what I can do to improve and affect others. There are also notes and a chapter by chapter study guide. I received a copy of this eBook from BookSneeze for review. Past and present collide after Samantha attends what she thinks is her former roommate’s wedding. While visiting her esoteric aunt at a butterfly launch during a memorial service, a former student from the refugee camp where she worked several years ago invites her to a meal and destiny. Wisler’s story of a quiet young woman with a broken heart and living in a rut is a sweet tale of misunderstanding, mistaken identity, judgment and forgiveness. Set in the early nineteen-nineties, with flashbacks to the mid-eighties, the tale is woven between Samantha’s experiences teaching American customs to Vietnamese refugees in the Philippines, awaiting placement after the end of the conflict. 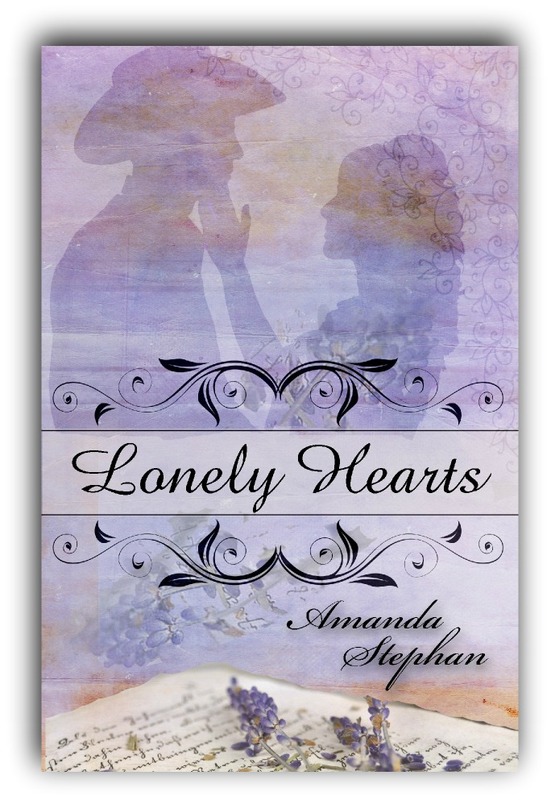 Samantha gives her heart to a fellow teacher, Carson, who’d promised his college sweetheart he’d remain faithful. When Sam realizes Carson means to keep his promise, she forgets about a future filled with plans to become a teacher, goes home and works for her emotionally reticent widowed mother. After the chance encounter with her former student who is delighted to let her know that Carson lives nearby and would like to see her again, she eventually and reluctantly meets him. Their stories gradually come out and the misunderstandings are laid to rest. Even the wrongly accused student doesn’t hold Sam’s accusations of theft all those years ago against her, and asks for help finding the mother who gave her up for adoption. Told in first person, A Wedding Invitation is an upbeat message that happiness and love involves risk, faith, and trust, and that helping others can revive even the dampest of spirits. Readers who enjoy the music and sounds of life at the end of the twentieth century, the news, the songs, the food and fun of the era, will enjoy this tale of a quirky aunt, mom, and shy young lady ready to come out of her shell. Miller’s story about an antebellum abused wife fleeing north to Michigan timber country and winds up as a cook in a rough and tumble lumber camp is a satisfying step back in time. 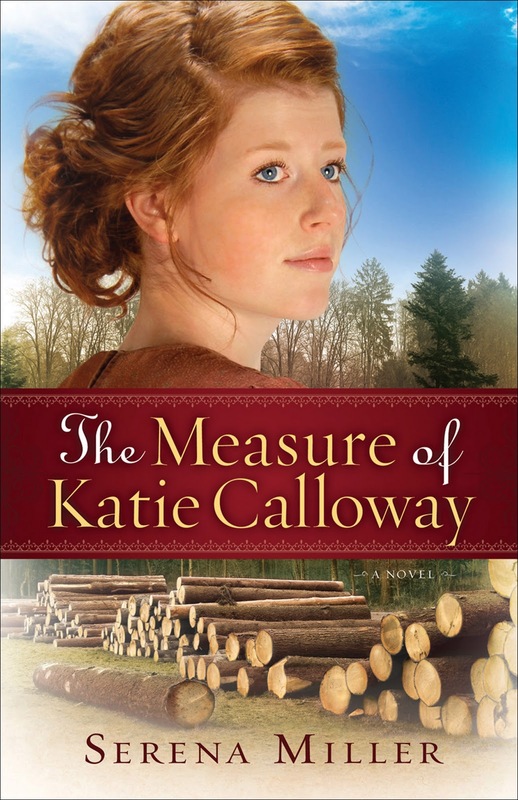 Katie Calloway, young and naïve Pennsylvania minister’s daughter, marries her brother’s West Point friend and moves south to become mistress of a slave-run plantation. Not only does she enter the strange and confusing world of ownership of other humans, the War Between the States becomes a reality and she is left alone when her husband goes to fight. The story begins a couple of years after the conclusion of the war, when all that’s left to Katie and her young orphaned brother is her pride. Realizing that her husband does more than just despise her, she takes Ned and runs. Blessed with jumping into the right place at the right time, Katie meets Robert Foster, owner of a lumber camp, who is in need of a cook. 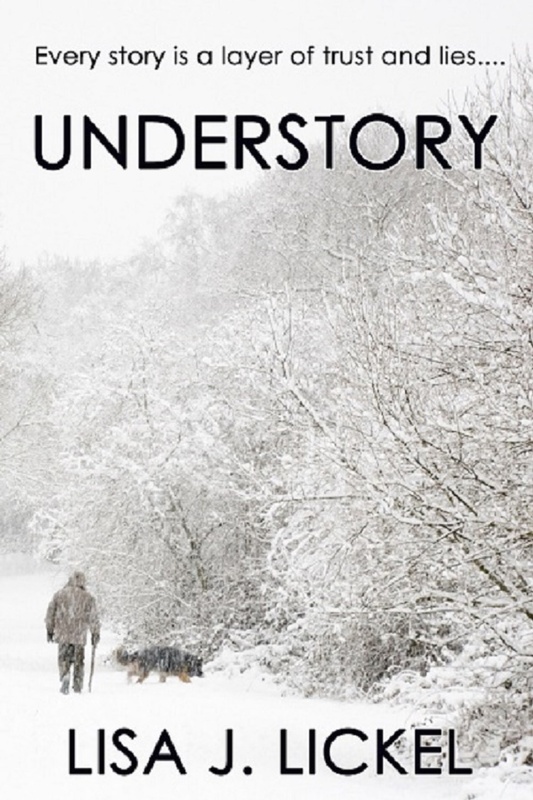 At the camp filled with rough lumbermen for a winter of work, Katie is thrust into an experience that will either make her stronger or break her spirit for good. Getting along with the wounded camp cook who is supposed to help her is only the first bump in the road. 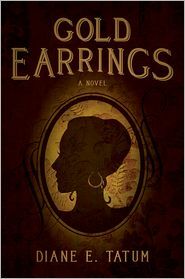 Falling in love with the wounded widower, Robert, and his children, and keeping her secret, is compounded when a former slave of her husband’s shows up to work at the camp. And when her brutal husband eventually tracks her down, will anyone come to her rescue? Miller’s use of shanty song refrains to open each chapter is a delight, and adds just the right nuance to each section. I could hear the singing and fiddle playing, smell the pine trees and the flapjacks during her wonderfully smooth narrative. Characters that capture your heart, from the surly trickster Jigger, to the gentle carver Cletus, to Moon Song and her baby, to Skypilot, the once-upon-a-time preacher, readers of historical romantic inspirational fiction will escape to the years immediately following the Civil War in the boom time of Michigan with this lovely read. Reminiscent of other great reads, like Naomi Musch’s Empire in Pine series. Novelist, poet, and book marketer Carolyn Howard-Johnson releases the second edition of the first book in her HowToDoItFrugally series of books for writers, The Frugal Book Promoter. Among those supporting Howard-Johnson’s book are self publishing gurus Dan Poynter and Shelley Hitz, book marketers Dana Lynn Smith, Patricia Fry, D’vorah Lansky, and Aggie Villaneuva and even some fun stuff like a full book of poetry from Magdalena Ball and advice on feng shui from Anna Maria Prezio, Ph.D. Leading the charge is Amazon and book launch expert Denise Cassino. $9.95 for The Frugal Book Promoter in its Kindle iteration (www.budurl.com/FrugalBkProKindle) or $12.82 (discounted from $17.95) for the paperback on Amazon (www.budurl.com/FrugalBkPromo). Howard-Johnson, an instructor for nearly a decade at UCLA Extension’s Writers’ Program, chose to have the new edition published in both e-book format and paperback in order to give her struggling students and clients affordable and convenient choices. 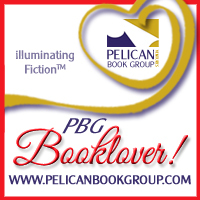 Whichever format a reader chooses, The Frugal Book Promoter assures an author’s book the best possible start in life. Full of nitty-gritty how-tos for getting nearly free publicity, the author shares her professional experience as well as practical tips gleaned from the successes of her own book campaigns. A former journalist and publicist (she wrote media releases for fashion designers like Christian Dior), she tells authors how to do what their publishers can’t or won’t and why authors can often do their own promotion better than a PR professional. Howard-Johnson even assigned a new subtitle to this edition of her book to reflect its appeal to a broader array of authors. It is now The Frugal Book Promoter: How to get nearly free publicity on your own or partnering with your publisher. She says, "With the advances in Internet marketing and the role social media plays in communicating, it was high time even writers who had the first edition had access to my frugal (frugal of both time and money!) ideas for new networking opportunities." The big, fat book (416 pages) also has money-saving ads in the back and an amazing new cover—the epitome of “frugalness”—by Chaz DeSimone, www.chazdesimone.com. Howard-Johnson is the recipient of the California Legislature’s Woman of the Year in Arts and Entertainment Award, her community’s Character and Ethics award for her work promoting tolerance with her writing. She was also named to Pasadena Weekly’s list of 14 women of “San Gabriel Valley women who make life happen.” She has worked for Good Housekeeping Magazine and as a journalist for several newspapers and has been a popular presenter at writers’ conferences nationwide like the one at San Diego State University and the Sinclair Lewis Writers’ Conference. 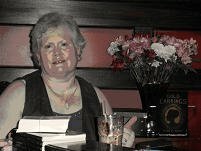 She is also a novelist and poet, which informs the advice she gives to authors of those genres. 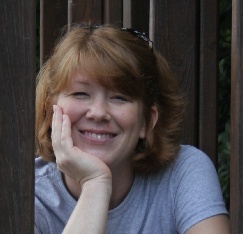 Learn more about Howard-Johnson at http://www.howtodoitfrugally.com and http://carolynhoward-johnson.com. This sweet little read from Annette Irby will satisfy that need for time-constrained readers who long for a whole story in a short byte. Restaurant-owner Lara meets recent widower Wyatt at the grocery store. From the moment she empathizes with Wyatt in front of the Valentine’s Day display she prays for him without knowing the reason for his sadness. Later, he eats alone at her restaurant and we understand that this year is different. Wyatt’s two-year-old grief has morphed into loneliness. The mutual attraction and concern for each other sparks early. Irby does a good job setting her characters and scenes, using the senses to tickle with reader and draw him or her into the conversation as these two people get to know each other. Wyatt, the businessman, appreciates what Lara, a businesswoman in her own right, goes through to earn a living. He’s ready to move on and Lara feels like a natural fit. They’re both in their early thirties, unattached, but Lara is recovering from a broken relationship and, besides, could use his help. She doesn’t mix business and pleasure, even if the business embodies the perfect husband material. When Wyatt trades food for his consulting fees, Lara accepts reluctantly, sticking to her pride and principles, even when she knows he’s interested in more than that from her. It doesn’t take long for Wyatt to come up with a plan to get past her principles, but can he get past the hurt in her life? Irby’s great characters, honest dialogue, and rounded settings will make this novella a favorite romantic read. Chantal Obasare shares lovingly crafted poetry that reads like a cry from her heart on an intimate walk of faith with Christ. From the closing refrain of the opening song, “The Grand Climax,” “Then no other will I see, But my Jesus Christ,” to the poignant black and white photographic illustrations reflecting a number of the poems, the reader will share a piece of the author’s soul. Obasare uses short phrases and rhyming or wrenched rhyming lines in her quatrains. The simple beauty of worship in her poem “Beyond the Veil” reminds us that the things of this world are changeable pictures while God is real. The poetry showcases her passion for love and family as well. “I Was Made For You” is lovely marriage talk. Obasare changes pace a bit with “Jamaica: Land We Love.” Octets describe the pain of crime and hurt in a land of beauty and the need for faith to remember God’s blessing. “Missing” could be anyone, anywhere, as the poetess decries today’s lack of morals. “Where was God?” is a question most of us ask at some point in our lives. Obasare replies in the voice of Job. “Lovely” reads like an undulating ocean wave, each line a declaration of “I love you” followed by no matter what. Obasare’s end piece, “Pieces of Me,” is like sitting down to a cup of tea with a friend. Nicely done! Readers of spiritual folksy poetry will enjoy this book—Fingerprints will leave its mark. Daughter of a bordello madame and an Italian captain of the seas, Angelina Mercy longs for a new life, free from the condemnation associated with her mother's home in Boston. A former navy man, Jonathan Thomson, has accepted God's call and become a minister of a small congregation. Adrift from his Yankee heritage in the Missouri plains, Jonathan longs for a family of his own. Pursuing Alice, the daughter of the town's wealthy patron, Jonathan believes he can tame her wild ways. Can Jonathan ignore Angelina's Gold Earrings, a constant reminder of the implications of her less than pristine parentage? 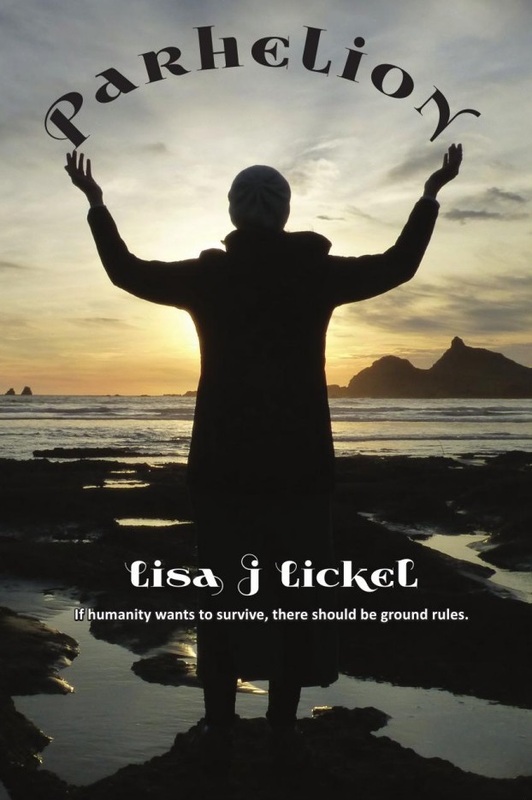 The resilient heroine will inspire you in this touching tale of love against the odds. Diane was born in Louisville, KY, raised, married, and had 2 sons in north St. Louis County, MO. Her young family relocated to Newport News, VA, so her aerospace engineer husband could work at NASA-Langley. In 1997, Diane received her Masters and teaching certificate just a month before moving to Tullahoma, TN, when her husband began a new job at AEDC facilities. Diane has been a consultant for AP/College Board leading conferences for teachers with Pre-AP (middle school) students to prepare their students to take AP classes in high school. She has also been a consultant concerning youth Sunday School for the Southern Baptist Convention, the Tennessee Baptist Convention, the Baptist General Assembly of Virginia, and the Peninsula Baptist Association. Diane your book is so good I truly believe that Hallmark should use it for one of there movies Thanks so much for sharing your story with us and I cannot wait for you next book to come out. I really enjoyed this book. The characters are all real and struggle in their walk with God and his will for their lives. Plus, I really liked that the main character in this book overcame her family background. This book teaches tolerance and every person is responsible for their own walk with God. I gave my heart to Christ at six years old, yet fear still held me tight. Though I had renewed hope, the whispers and lies continued to flow and drown out truth through every season. When, I heard the words that burned a hole straight through, I was nose-to-nose with what appeared to be the sum of all my fears. I was twenty-six weeks pregnant with triplets. In the beginning, I had been pregnant with quads, but had lost one child at 14 weeks. I never imagined we might all go meet Jesus on the same day. I mourned the thought of my husband walking through life alone. I grieved for the children that would either die, be disabled on this earth, or grow up motherless. And I burned with anger, not just because of the oxygen mask strapped to my face as I struggled for breath and life, but for twenty-five years of allowing Satan to tell me that I would never make it to tomorrow. As nurses whirled around me, I prayed Acts 17:25 out loud, “…You give life and breath to everything, and satisfy every need.” I pleaded with the God I personally knew through a relationship with His Son, Jesus. I knew He had a plan for my life that was good according to Jeremiah 29:11. In my humanity, I struggled with the thought that death might be His plan for us on that day. Today, we are parents to three healthy five-year-olds. You would never know they were born nine weeks premature. The joy that Satan has stolen from me in 30 years, through a spirit of fear, is great. I imagine if you strung each lying sentence end-to-end, they might wrap the globe. Yet, I have promised to tell others of God’s miracles in my life and do my part in setting captives free. Tomorrow had come, but so had Jesus, and it is He who has defeated the grave. Jessica Kirkland lives in Southeast Texas with her husband, Robb, and five-year-old triplets. She is an author and speaker whose greatest passion in life is to see young families grow deeper in their walk with God. Jessica's newest adventure includes launching Christian Apps 4 Kids, which seeks to draw kids closer to Christ one app at a time. A recent release is a book app that addresses fear and scary nighttime sounds called The Sounds of Night, designed for kids ages 2-8. It is currently available on iPad, iPhone and all Android devices. When Jessica isn't writing, you can find her cheering her boys on at the soccer field, or watching her little girl at the dance studio.